Everyone uses email everyday, all day. It’s probably the easiest way to get ahold of someone and if you’re not doing so already, you should be using email marketing to it’s full potential. Email can be used to increase traffic to your website, promote a new product or upcoming event and much more. Keep your customers informed and provide the best email experience with a responsive mobile friendly message in their inbox. Let’s chat more about the possibilities of email marketing! Have an upcoming event to promote for your business? Email marketing is a great way to reach your customers with just one message. Send out an email with the where and when plus a link to click through to purchase tickets and your next event is guaranteed to be successful! Promoting events is just as important as promoting your brand. Your customers deserve to be the first to know about new product launches! The best way to reach them all at once is with an email. There’s no question there. Pair that with some social media campaigns and your new product is guaranteed to be a winner! 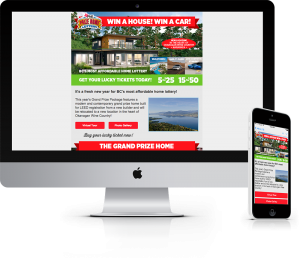 Just like a website, your email campaign should be mobile friendly in order to provide the best possible experience. If your email campaign is paired up with a responsive website then there is no question your email should be responsive too.